Today you're getting a list of the 7 best electronic cigarettes that you can currently get. 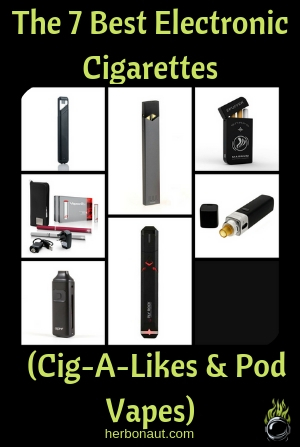 Why only cig-a-likes and pod systems? Because these are the first types of vapes you should look at if you're looking to quit smoking. Every electronic cigarette on the list has its unique strength, so whatever type of e-cig you're looking for: you'll find it here. 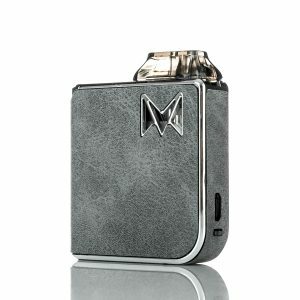 The MiPod is small, but the vapor coming out of this little vape will hit you almost like smoke. Just make sure to get a high nicotine salt if you really need that throat hit. Is that it's one of the few pod vapes that does direct lung (DTL) vaping just as well as mouth-to-lung (MTL). These clouds can compete in size and density with clouds coming out of a simple box mod + vape tank setup. I highly recommend getting a flexible device like the MiPod. The pods have enough e-salt/e-juice capacity to last for a full day. You charge your MiPod, fill your pod up with your favorite nicotine salt, and you're set for the day. There aren't many pod vapes that last you a full day with a single charge and single fill. If you're looking for a true cig-a-like, the MiPod is too ‘square' for that. It doesn't look like a cigarette whatsoever. But it's so small, I really don't think this should be the reason to skip on the MiPod. It feels great in your hand and light in your pocket! There’s no electronic cigarette which creates bigger clouds than the Aspire Breeze while keeping such a small form. But it’s small enough to be included in the list. This is probably the only electronic cigarette which genuinely vapes regular high-VG vape juices really well (I’m not talking about nicotine salts here). This has to do with the fact that it operates a sub-ohm coil, which is perfect for high VG vape juices (nicotine salts usually have a relatively high PG, which is great for the throat hit, but less useful for clouds). It will last half to a full day with moderate use, and in case you need to charge it, you’ll be happy to know it comes with a micro-USB, ready to be charged in a laptop, tv or phone charger. 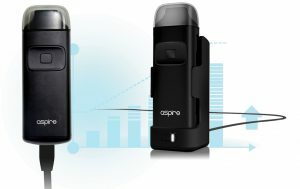 The Aspire Breeze is your best bet if you’re looking for a small e-cig which still is capable of creating big clouds, and don’t mind the fact that its throat-hit is sub-par. The Wismec MyJet is a small and sleek pod-based e-cigarette that slightly resembles a true cigarette in looks (talking about its small size and long and thin form-factor). This one has a really tight draw. It will come close to feeling like a regular cigarette (depending also on the nicotine strength of the nicotine salt juice you use). To get the most out of the Wismec Myjet, you need to be a little tech-savy. To get the best flavor, you need to experiment with re-wicking the coils in the pods. Realize that this isn’t the easiest thing and isn’t for everyone, especially if you aren’t tech-savvy. If the MyJet needs tinkering to perform as well as other pod-based systems in the list, why would you ever get the MyJet? Well, it really does have the slim form-factor down and still performs better than cig-a-likes like the V2 EX (#6). The Wismec Myjet comes with refillable pods so you can decide what it is you vape (although it works best with nicotine salts). The Wismec MyJet is your best bet. Note: I highly recommend vaping nicotine salts in the refillable pods. Keep in mind: you will need some experimenting to find your sweet spot regarding flavor and what type of juice to use. The Limitless Pulse is the last pod-based electronic cigarette in the list and is direct competition to the Wismec MyJet. Its standard USB charging port. Most of these pod-systems come out with propriety charging systems, which is great for the profit of the manufacturer, but sorry for your convenience (you always have to take the propriety charger everywhere you go). The Limitless Pulse you can charge-up anywhere, since all you need a standard USB socket. Even though the pods are refillable, it’s not the most straightforward task. The upside of all this plastic is that the device is very lightweight (you can also see this as a downside of course if you’re looking for something solid). And even though the pods can sometimes be a hassle to refill, they take quite a bit more juice/salt than the Wismec MyJet pods. This means you won’t have to refill them THAT often. Combine this with the above-average battery-life, and you got yourself an e-cig, which will last you the longest of all usb-form, sleek e-cigs, without re-charging or refilling of pods. And that's the only reason to pick it over the MyJet. And doesn’t have atrocious performance. If the degree of ‘cig-a-likeness’ is essential to you: this literally is a cigarette…just the electronic version. The vapor production is less. But it doesn't get better than this regarding performance…when looking at e-cigs which exactly look like cigarettes. This device comes with cartridges that are fillable with your vape juice, which is great for your wallet. Just make sure to always use vape juice with a high % of PG…this device really can’t handle high-VG juice. And if you're wondering how long a single one of these will go without needing to re-charge: 300 puffs (quite impressive!). The EPuffer Magnum Snaps Starter Kit comes with a portable charger case (PCC). The battery-life in these small little devices isn’t the best, so you’ll probably need one. 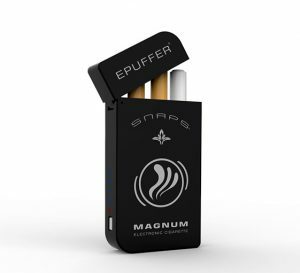 But if you NEED a device which 100% looks like a cigarette, the EPuffer Magnum Snaps is your best bet. Their performance is worse than pod-based systems like the MiPod. This is a great extra. With the V2 EX Starter Kit, you still have to separately get a PCC (which also isn’t a big deal but is another extra cost on top of the starter kit). But if you NEED a device which 100% looks like a cigarette and is customizable in looks, get the V2. But it is a device that might appeal to you if you’re OK with a slightly bigger device. Or it can be used as the earlier e-cigs: with a tight draw and stronger throat hit (making it feel more like a real cigarette, this is called MTL vaping). Compared to all the earlier e-cigs, this one has the most potent performance (it will create the biggest clouds) …the price you pay for it though, is its size. Now, the most potent performance doesn’t necessarily mean the most satisfying performance. The throat hit of the JUUL, for example, is much more satisfying. And the true cig-a-like look and feel of the V2 EX e-cigs can be more satisfying for you (you can’t hold this device between your fingers like a true cigarette for example). So if you’re looking for the smallest possible e-cig, check out the earlier devices. Except for the Aspire Breeze, no other e-cig in the list comes close to the Innokin Pocketmod. For the majority of (soon-to-be ex-smokers), true cig-a-like electronic cigarettes (like the V2 EX Starter Kit and EPuffer Magnum Snaps) don’t produce enough and satisfying vapor, to make them turn their backs to smoking forever. 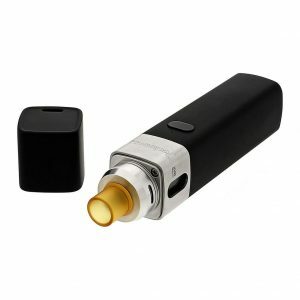 Still, these devices can be a great start to get used to vaping in general and are a great way to get the ball rolling and start substituting. The pod-based systems like the JUUL provide a much more satisfying performance than true cig-a-likes while keeping that small cig-a-like form-factor (without looking exactly like a cigarette). Case in point: 90% of ex-smokers will be satisfied with the performance of a JUUL for at least the first few months/years. 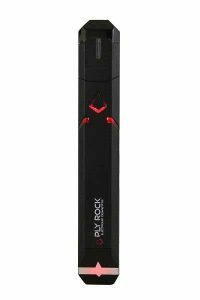 That doesn’t take away from the fact that, at some point, there’s a big chance you will want to move up to an advanced personal vaporizer like a box mod with a vape tank. And lastly, if you enjoyed this article, click the share button or become a fan on Facebook/Instagram! Reviewing vaporizers, growing supplies, CBD products and scientific articles about marijuana and vaping since 2012. More info here.